Bethesda, Maryland-based Lockheed Martin Corporation was awarded a $2.4 billion Pentagon contract on Monday for THAAD interceptor missiles, some of which will head to Saudi Arabia, Reuters reports. 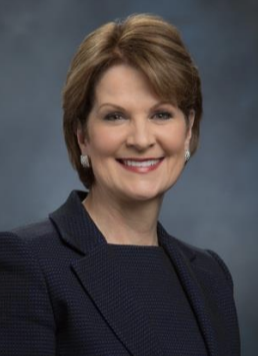 Marillyn Hewson, CEO of Lockheed Martin. The announcement of the THAAD system was “part of a $15 billion package for defensive ballistic missile systems,” the UPI reports. Lockheed will provide interceptors and associated one-shot devices, the U.S. Missile Defense Agency announced Monday. With the new contract modification, the value of Lockheed’s contract for the systems increased from from $1.4 billion to $3.9 billion. Lockheed Martin, the biggest U.S. arms maker, builds and integrates the THAAD system, which is designed to shoot down short-, medium- and intermediate-range ballistic missiles. Raytheon, another U.S. firm, builds its advanced radar, Reuters reports. In November, Saudi Arabia signed a letter of offer and acceptance for the THAAD missile system, paving the way for the massive sale of 44 THAAD launchers, missiles and related equipment. 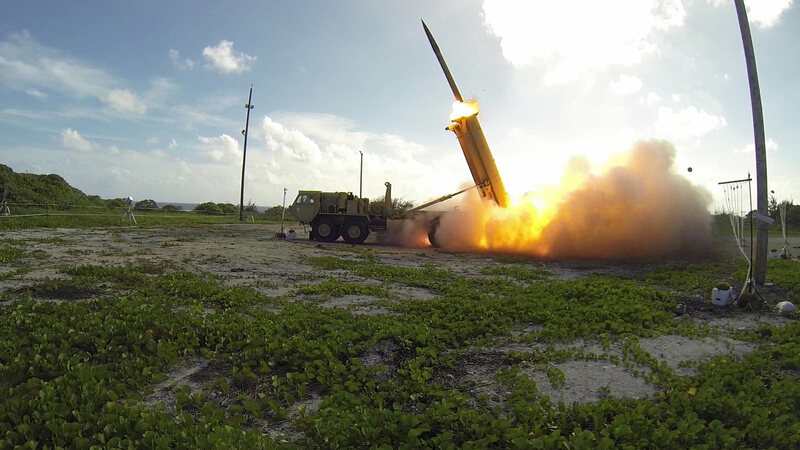 The THAAD is considered America’s Crown Jewel in missile defense systems.